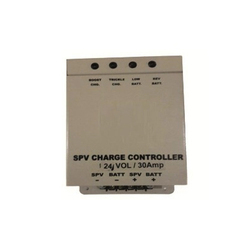 Pioneers in the industry, we offer spv charge controller from India. We have in store for our customers a vast collection of products which include SPV Charge Controller. Manufactured using exceptional quality basic material and advanced tools and machinery, these offered products are in compliance with the norms and guidelines laid down by the industry, We offer these at reasonable rates to our clients.